Hello everyone, I'm up on the Paper Issues blog today with Cut it Up Saturday. 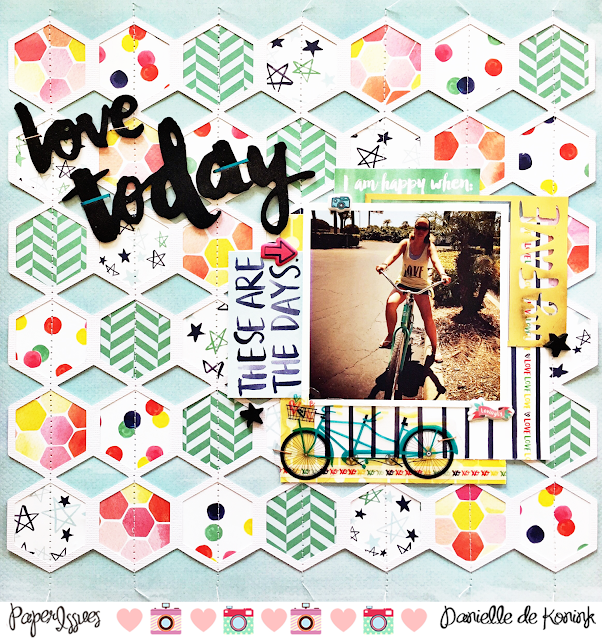 Here's your FREE cut file for this month and you can grab it overhere inthe store. 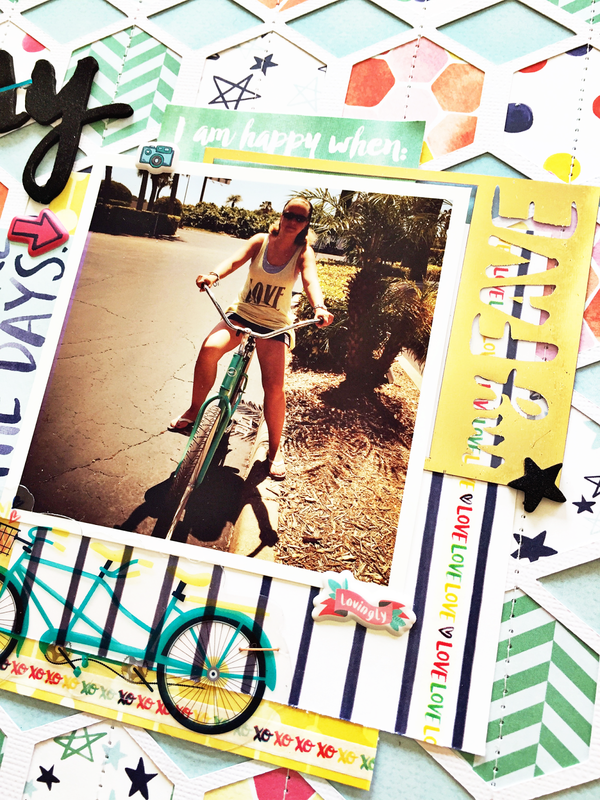 Of course we want to see what you'll create with it, so link up your projects overhere in our challenge album. 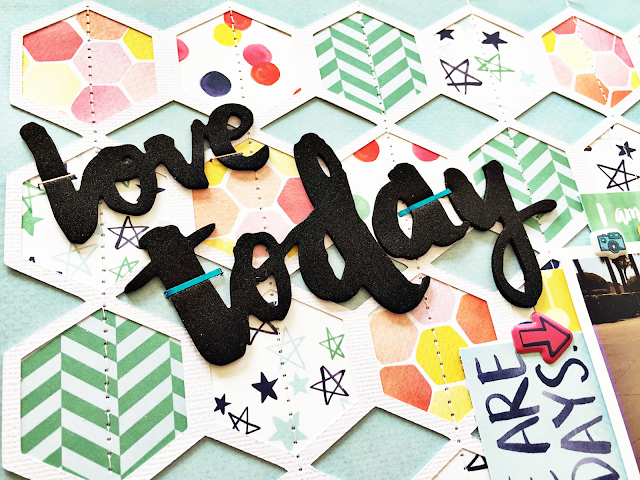 For my layout I cut out this file on white cardstock, backed all the hexagons with papers from the Amy Tangerine Better Together collection and stitched it onto the background paper. All the embellishments I used are also from this collection. 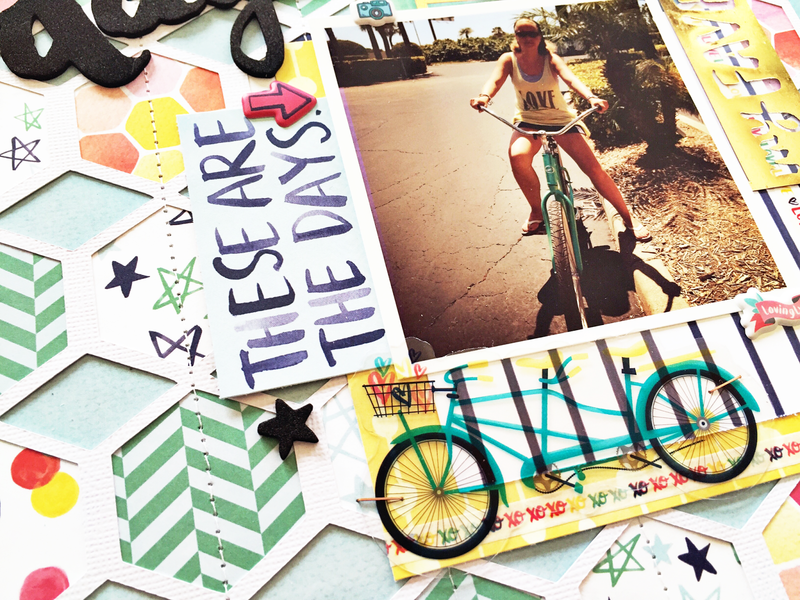 Check out that cute bicycle from the ephemera pack, it was perfect to go with this picture taken in St. Petersburg, FL. I attached the bike and the foam thicker words with the WRMK staple board. I love to finally be able to staple in the middle of my pages. Thank you for stopping by today and have a creative weekend!